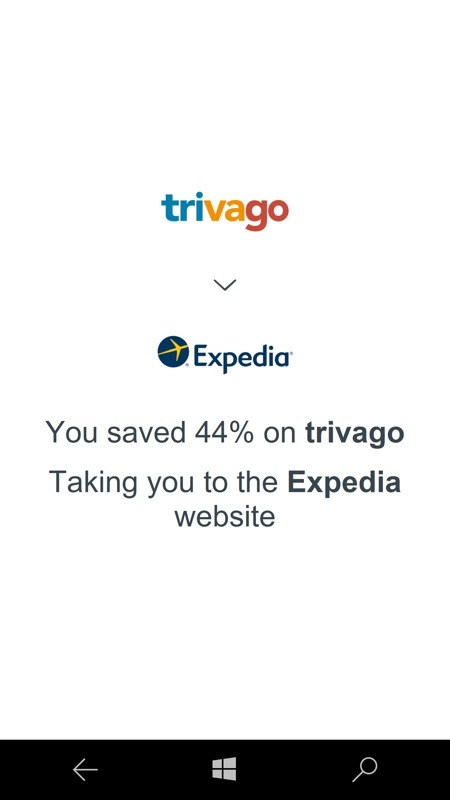 Trivago is a big travel resource, of course, in terms of finding good 'deals', and has always been both very clever and very standards-compliant on the Web. The company has put huge resources into giving an interactive and intelligent user experience in a web browser, meaning that almost everything shown below also works fine in Internet Explorer on Windows Phone 8.1 phones. 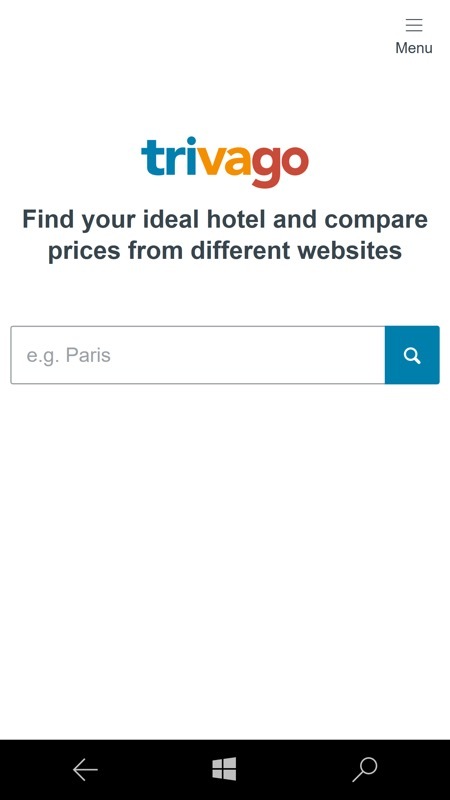 And, of course, you've been able to visit trivago.com in Edge under Windows 10 Mobile from day one. 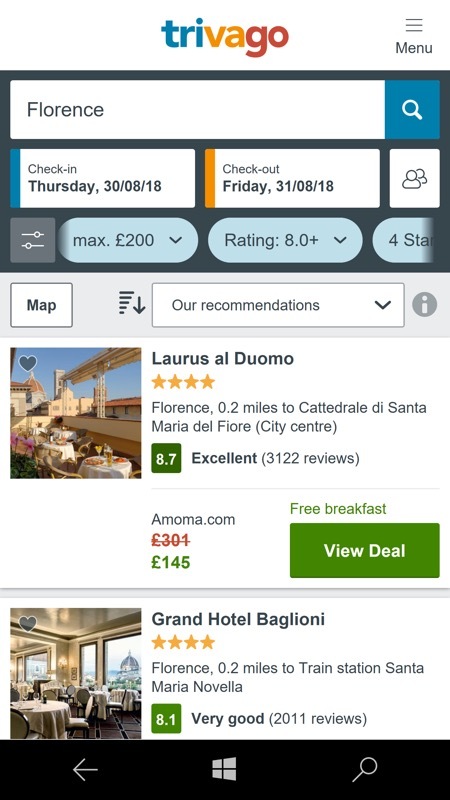 But I wanted to highlight that Trivago UWP, essentially the 'progressive' web experience packaged for convenience and Start screen pinning, is in the Store for W10M now (previously it had been for the 'Desktop' only). Compare hotel prices & travel discounts, plan your trip with confidence and save money while on vacation. Our massive workforce will always find the best deals on hotel prices to make your next vacation stress-free. 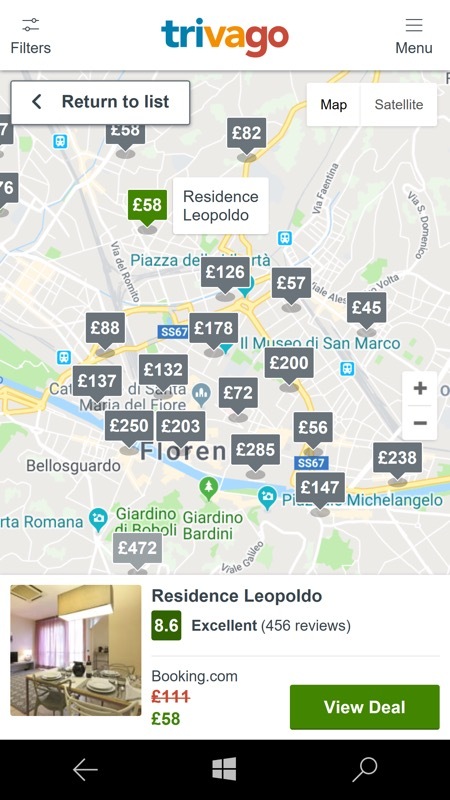 A minimalist start - but don't switch off; (right) the hamburger menu leads to basic settings, you can also sign in to have your preferences and searches remembered. A filter system lets you set certain minimums, plus a price maximum. 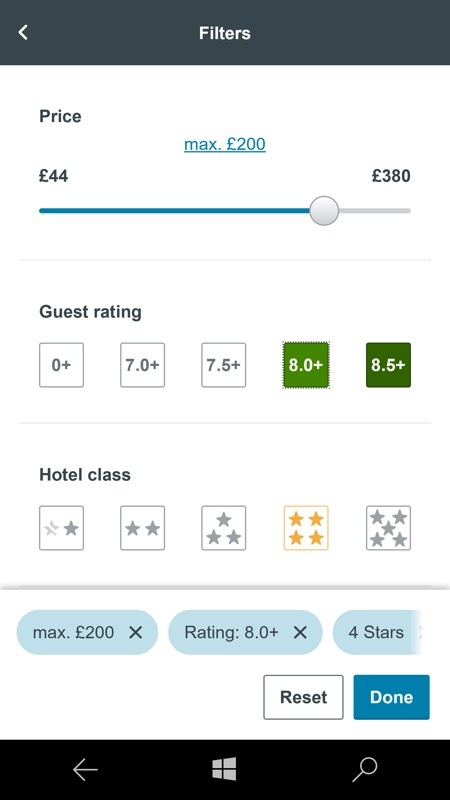 VERY handy; (right) the full UI in action, picking out venues and prices for your intended trip and filter settings. There's also the Map view, if you want to get a sense for where all the matches are. All very impressive; (right) when placing an order, you're bumped/deep-linked to the appropriate source for the quote. 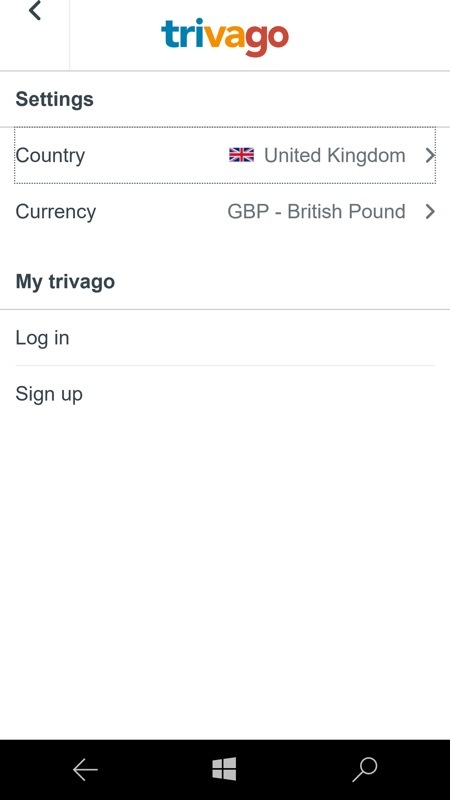 It's a jarring change, but then Trivago is about introducing you to travel deals, not managing them end to end. You can grab this packaged PWA here in the Store. Yes, it's just the web site, but it's in the Store, it's first party, it's in your Apps list and it can be pinned. Any comments?